Antique Lighting from The Drawing Room of Newport Antiques of Rhode Island. # 4985.Candle Hall Lantern. Possibly Boston and Sandwich Glass Company. 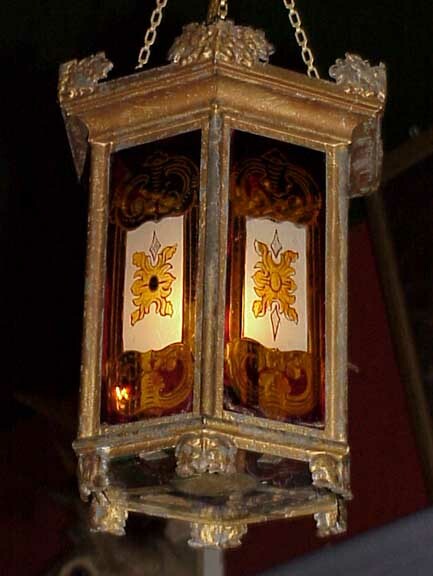 Deitz also manufactured similar style lanterns. # 4985. 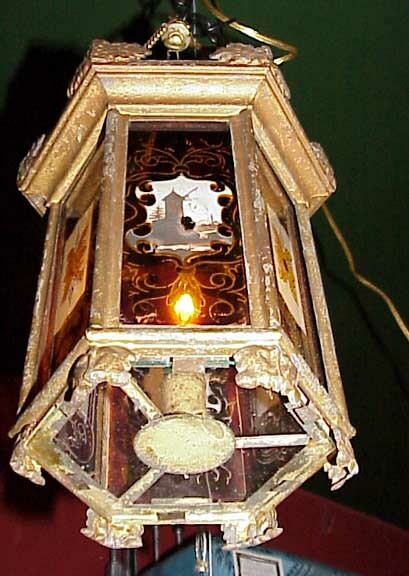 A small and charming American mid 19th century Candle Hall Lantern. Possibly Boston and Sandwich Glass Company. 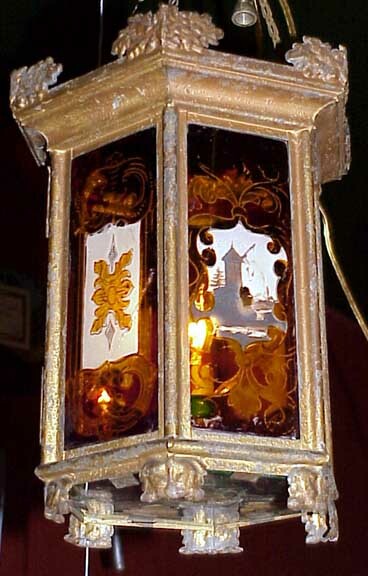 Deitz also manufactured similar style lanterns. 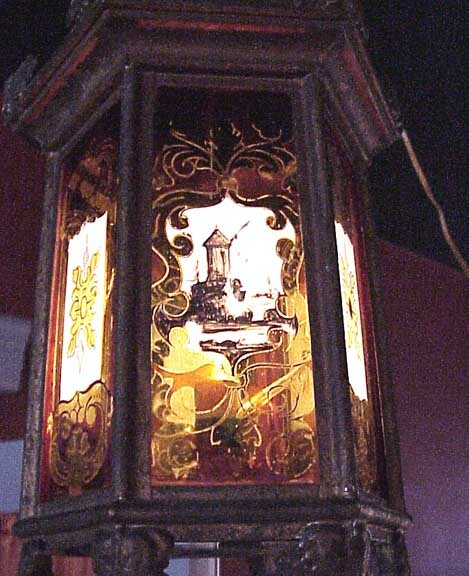 Size: 10" tall with the top metalwork 8" across and the glass framed lantern section 6" across. 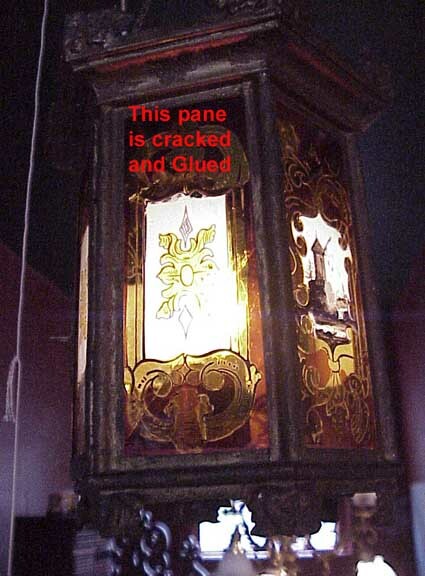 Condition: carefully electrified with no intrusion to the original material; considerable flaking to the metal work showing very old gold colored paint; one pane of glass has been cracked and reglued. The condition of the glass paint decoration is very good considering the use and age. 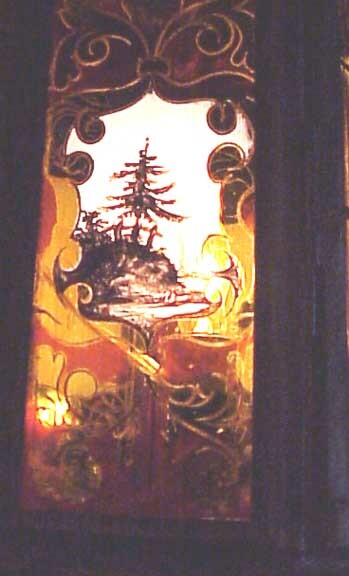 Of the six glass panels, two are scenic and four are decorative. 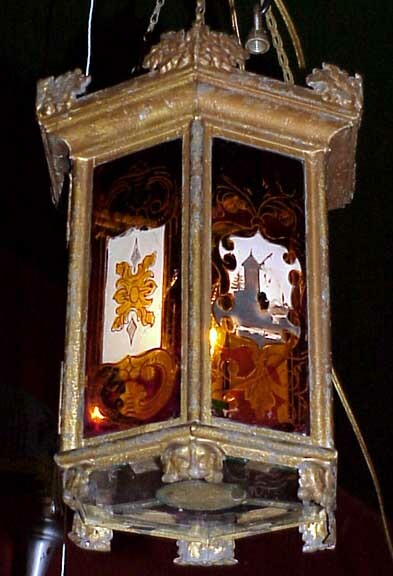 One of the panels opens to light and change the candle. 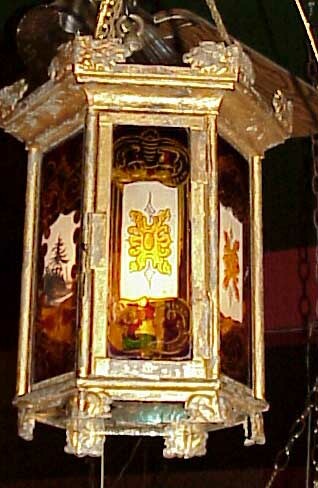 All the glass panels including the bottom glass panel are period and believed to be original. The chain and chain loops are replacements. A single small candelabra size electric bulb of low wattage is sufficient to illuminate the glass. 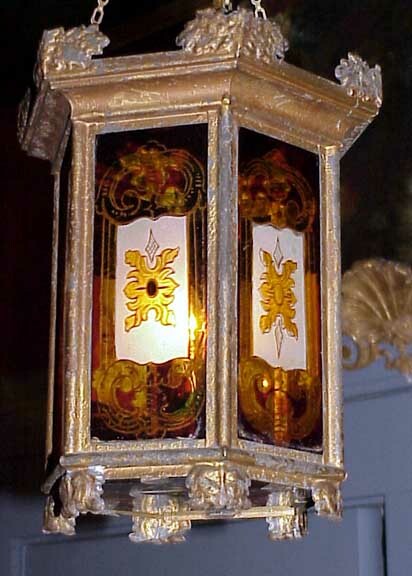 We have had this form in a larger model but this is the smallest of this lantern in our collection. Provenance: from a modest farm home in New Hampshire. Price: $1,200.00. The left glass panel is cracked.